A missionary and his wife are killed by natives when they accidentally discover their golden temple, but his daughter is spared and is raised by the tribe. Fifteen years later, she seeks vengeance for her parents' murders and joins an expedition searching for the same golden temple. 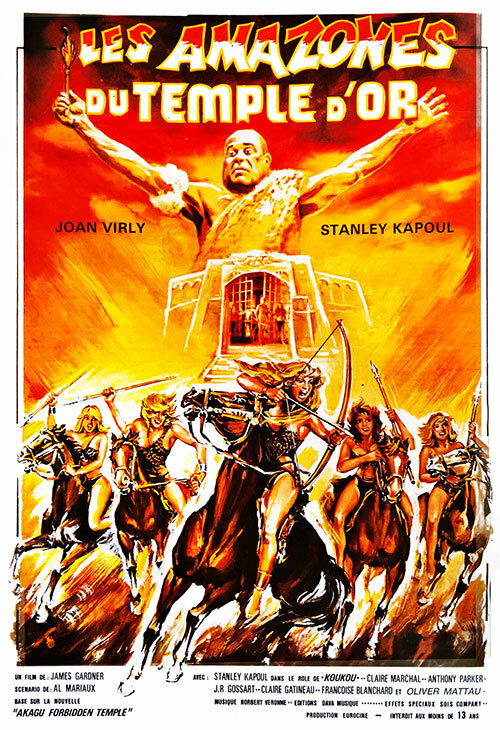 2 Response to "Golden Temple Amazons (1986) Alain Payet & Jess Franco"
Do you think it's possible to locate rip of "Nightmare at Bitter Creek" (1988) https://www.imdb.com/title/tt0095741/?ref_=fn_al_tt_1 WITH English audio? Thanks as always for the great flicks...any chance of tracking thos one down, "Don't Knock The Twist"?